Anisocytosis is a deficiency in iron characterized by red blood cells of unequal size. Ideally, red blood cells should be of equal size. If there is an increased variation in the sizes of red blood cells, then it is an indicator that there is something wrong with your blood. Anisocytosis comes from the word aniso meaning unequal and cytosis meaning movement or number of cells. 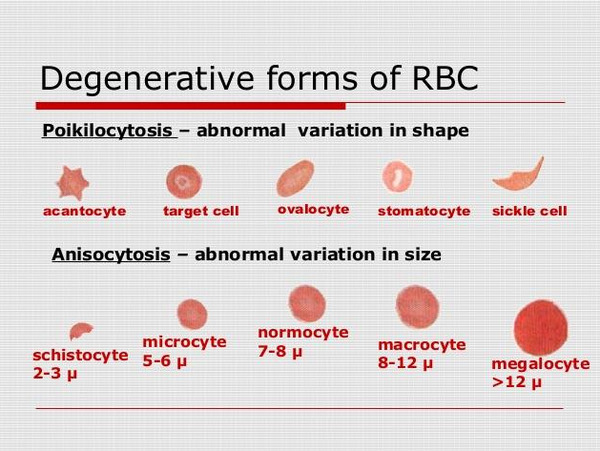 Image 1: A red blood cell distribution with noticeable uneven size and shapes. Image 2: Red blood cells and the degenerative form. Macrocytosis – the red blood cells are larger than the normal. 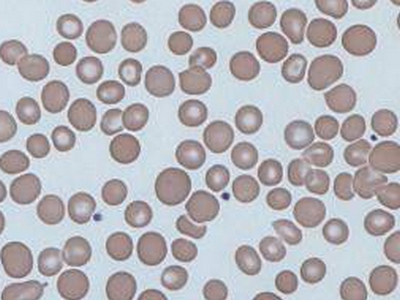 Microcytosis – the size of red blood cells are smaller than the normal. The patient gets tired easily. The patient may have an episode of shortness of breath even with minimal exertion. The patient complains of headache and dizziness. The hands and feet are cold to touch. The patient complains of weakness and fatigue. Note – The symptoms are caused by a lack of oxygen supply in vital organs and tissues of the body. Image 3: The classic manifestations of patients with iron deficiency anemia. What are the causes of anisocytosis? 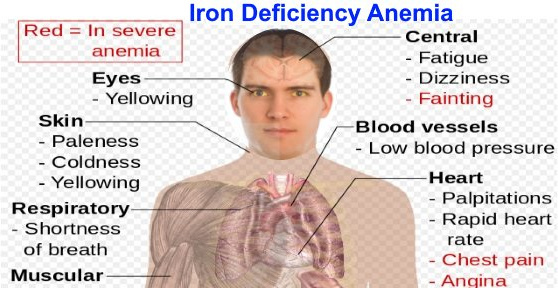 IDA (iron deficiency anemia) – it is caused by insufficient iron in the body. A deficiency in iron can be caused by massive blood loss or not being able to eat iron-rich foods. Iron deficiency anemia is the most common form of anemia. Sickle cell anemia – It is characterized by abnormal crescent-shaped red blood cells. It is genetic in nature. If you have a family history of sickle cell disease, then you have to be extremely cautious with your health. Autoimmune haemolytic anemia – The immune system of the body destroys red blood cells as they are mistaken for a foreign object. Thalassemia – It is a genetic disorder caused by the body’s production of abnormal hemoglobin. Megaloblastic anemia – it is caused by a deficient number of red blood cells and the size is larger than the usual. Megaloblastic anemia is a result of vitamin b12 or folate deficiency. Pernicious anemia – It is caused by the body’s inability to absorb vitamin b12. The direction of treatment is dependent on what is causing anisocytosis. If it is caused by anemia, then it is treated using supplements as well as diet and lifestyle modification. Those who have a severe type of anemia such as sickle cell, thalassemia, and the likes require more than just taking supplement and modification of lifestyle and diet. Is anisocytosis during pregnancy a cause for concern? Anisocytosis during pregnancy should not be a cause for concern, especially if the woman has no family history of blood-related disorder. One of the common reasons for anisocytosis during pregnancy is iron deficiency anemia, which can be easily corrected with diet and supplement. Pregnant women are at high risk for iron deficiency anemia primarily because their body needs plenty of iron to make red blood cells for their baby. It is the reason why doctors put pregnant women in iron supplements and highly encouraged them to drink milk rich in vitamin B12 and folate. Watch your diet, especially if you are pregnant. You should increase your intake of nutritious foods, especially foods rich in iron, vitamin b12, and folate. What is the difference between anisocytosis and poikilocytosis? The primary difference between anisocytosis and poikilocytosis is that the former is characterized by red blood cells of different sizes while the latter is red blood cells of varying shapes.